Boy, what I wouldn’t give for a nice easy chair in this particular pattern. 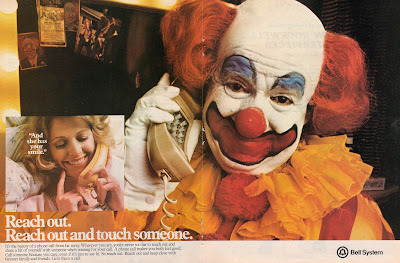 You never know when you’ll need a nice strong emetic. Like a warm fire and the checkerboard, La-Z-Boy chairs have become a part of the American home. La-Z-Boy means comfort, quality and value that endures. We wouldn’t have lasted over fifty years if the pepole didn’t trust the La-Z-Boy name. Millions of Americans enjoy their La-Z-Boy chairs every day. Haven’t you lived without one long enough? See the La-Z-Boy difference in quality reclining chairs wherever fine furniture is sold. 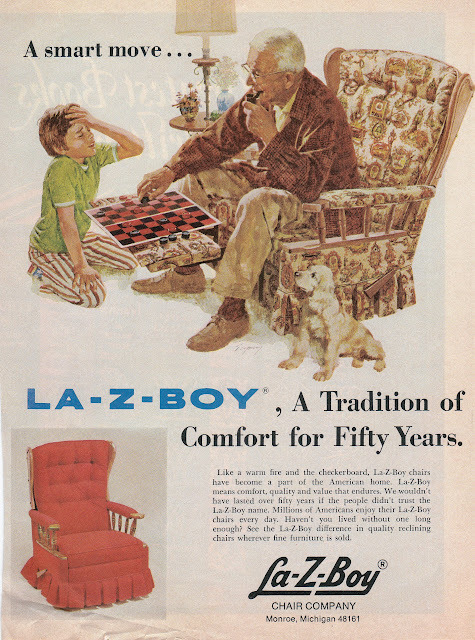 La-Z-Boy was founded in the 1920s and is still in business today. Does this ad make you want to buy one or vomit all over one?